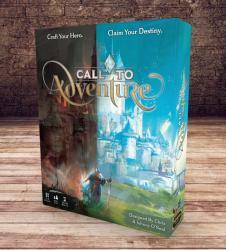 The brick & mortar release date on Brotherwise's latest game, Call to Adventure, has been pushed back to January 23rd of the coming year. Sadly, production delays and holiday shipping uncertainty have forced us to make this very tough decision. Online store release date is set for two weeks later: February 6th.